Li-Ning is a well-known badminton brand. They currently sponsor the Chinese National team plus numerous players on the professional circuit. 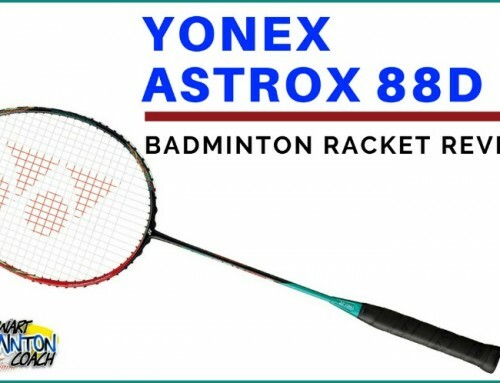 They have a reputation for manufacturing quality badminton rackets. 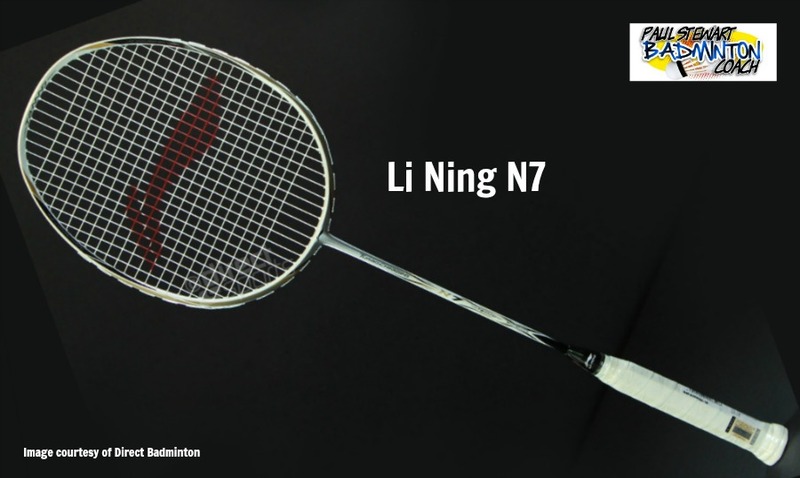 I rarely have the opportunity to test Li-Ning rackets, so it is with great delight I introduce Li Ning N7. I hear this is the racket used by former World and Olympic Champion Cai Yun – a great player, although have not seen this for myself. 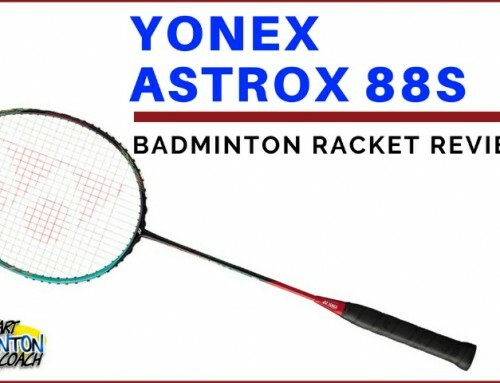 Historically, he preferred head heavy rackets and used to favour Yonex Armortec 900 T where the weight was balanced towards the T rather than the top of the head. The big frustration with Li-Ning is that many players, including myself, do not understand the racket range. It seems that Li-Ning make it so difficult to provide specs. It’s a shame because they would possibly sell more rackets if players understood them. So, in writing this review I extend an invitation to the sales team at Li-Ning to contact me to explain their racket range and specifications and I will share this with you. This is a 3U (85-89g) G5 (smaller grip) It is strung with a Li-Ning string relatively tight, a touch tighter compared to some manufacturers. From initial feel I estimate N7 is a medium flex, medium head heavy racket. The case for this racket is superb in looks and accessibility of the racket. Access is via the short side and the racket simply slides in easily. N7 is a predominantly white racket with black decals. There is a classy look and feel overall so top marks to Li-Ning. I like the clear grommets too. My only issue with them is that they are difficult to buy. There’s one other issue. Li-Ning do not make their racket stencil available for purchase. How dumb is that? 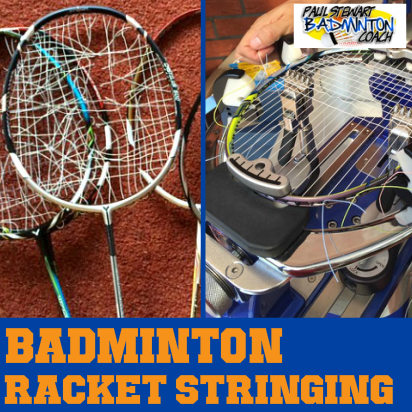 Come on, if you design a racket then please ensure stringers and players can obtain spares. Rant over! Simply enter your first name & email address below to get your guide. 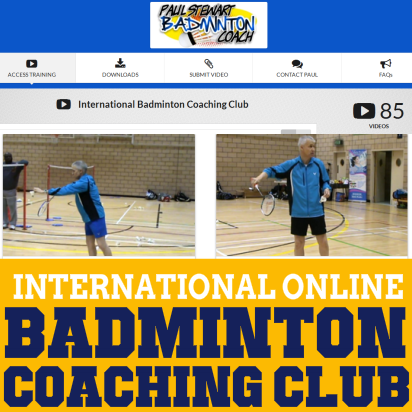 We would also like to send further emails from time to time, with helpful badminton news, reviews and product information which may benefit your game. Please check the appropriate box to indicate whether or not you would like to receive these. 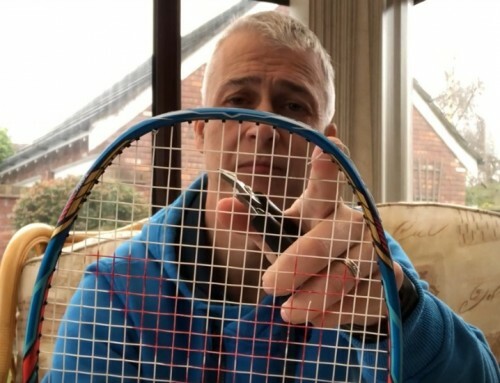 Whilst I have reviewed a couple of Li-Ning rackets in the past, it was a long time ago and I only remember N90 II so I don’t have many Li-Ning reference points to base my review. Initial feel is a more flexible and less weightier version of N90 II. That’s a good sign. Having played with a number of lighter rackets recently, N7 initially felt heavy. That said, with good timing and backing off trying to hit hard the racket began to show me what it’s got. I have to say that during this review there were many occasions when I wanted to rip out the string. Personally the string feels hard without any bite and to me this hindered performance. Sadly, I hadn’t the time to restring but am confident results can only improve with a restring. 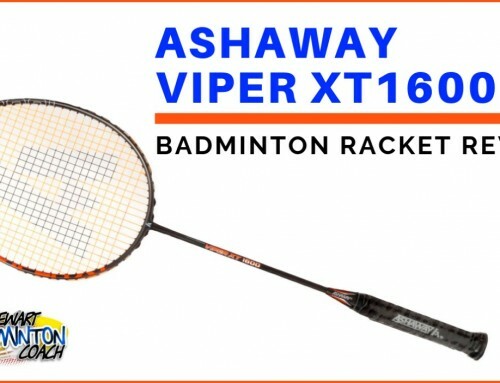 So my first tip would be to ensure you ask for a restring if you wish to purchase this racket. My first batch of clears were poor and I felt like I was hitting with a plank of wood. Backing off a touch and I soon found a good length. The racket plays stiffer than I expected which in some ways was a pleasant surprise. Readers of my reviews will know that historically I tend to favour head heavy rackets. I could feel the weight of N7 coming through the shot which I believe allows a player to feel the racket on the shot better than say a light headed racket. There is also good aerodynamic flow with this frame. Drop shots were a lot better and that lovely weight in the head provides a good solid feel. Whilst there was an element of touch and feel missing, I’ll lay the blame on the string. There wasn’t the bite with slice shots and quite a lot of string movement on the slice. This is caused by a combination of tension and a smoother outer string wrap. I really like the aerodynamic qualities of this racket. There are many frames I’ve tested which could almost be considered “boxey” and lacking in speed. Not so with N7. It cuts through the air really well. Smashes were pretty good although initially I didn’t really get the power out of this frame that I expected. This was most certainly one of those occasions where you stick at it. It seems that less is more works best with N7 and it rewards a more relaxed and yet direct hitting style. That said I cannot see “wristy” players getting much out of this racket. Fast, mid-court exchanges were good and the aerodynamic qualities really helps. You still have to work hard on these shots which is expected with such a head heavy frame, but it produces a nice, strong punch with little backswing. Defensively N7 performed better than expected. Of course, it won’t be as fast as a head light racket, but I like that extra weight behind the shot. The extra beef behind the lift and drive with an added solid feel on the block provide good control. But, you’ve got to work your hands and be prepared early. Net shots and knock offs were fine although again, early preparation is a must. 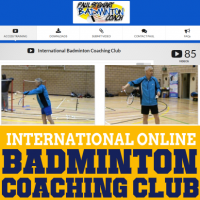 This is good as the racket forces good technique and good habits. You haven’t the time for snap shots and the frame moves too slow for this type of late hitting. I could easily have been disappointed with N7. 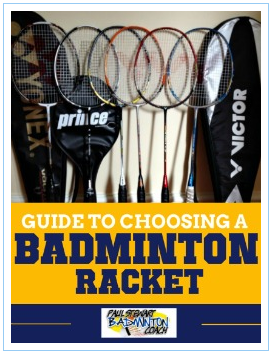 However, overall it’s a really good racket – just choose a different string. 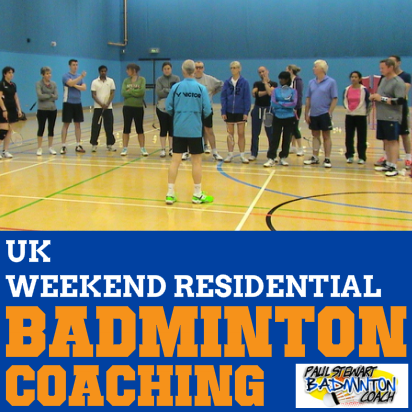 There are occasions when you can make rash decisions about a racket rather than stick with and figure it out. Sometimes this means making changes to your game and this can be good. 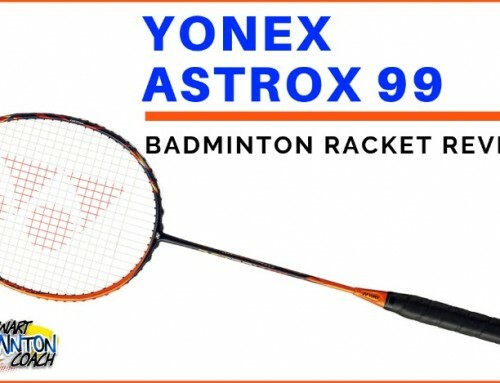 The more I think about this racket, the more I see the likeness to Yonex Armortec 900 T, however the head is heavier. RRP is £170 with online retailers discounting to around £110 which is a bargain. This is a lot of racket for the price and therefore well worth a test. Overall I’d say this is a good racket if you like these specifications. Personally I’d request a different string and many of the online retailers offer this option for free so take it. I give this racket a four star rating. I happen to have the MX90 but my JJS broke a long while ago. I was just wondering if this N7 was as close as it got to these rackets and Armortec 900 Technique since a friend of mine will need a replacement soon. I agree that JJS was very powerful. I feel the same about MX90 but it’s slightly more aerodynamic with a bit less feel. Focused weight at the throat? So like Victor’s MXJJS? Mx90 and JJS are very similar although most players would gladly stick to JJS. It’s stiffer and just has that extra beef in the power department. I can’t help but notice you saying this racket reminds you of an Armortec 900 Technique. I have a Thruster K6000 and K9000 which feel pretty close. How would you compare the Li Ning N7 to these 2 rackets. Thanks. It’s hard to compare rackets as each has a different feel. Thruster rackets tend to have more weight towards the top of the head. This is where AT900T was different as the weight was more focused at the throat. The rackets vary in stiffness and this again is personal.